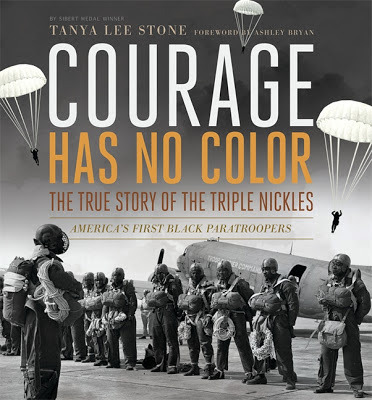 I first heard about the Triple Nickles when I read the book Jump into the Sky by Shelly Pearsall, the story of a young African American boy whose father was a paratrooper in 555th Parachute Infantry Battalion, or the Triple Nickles. 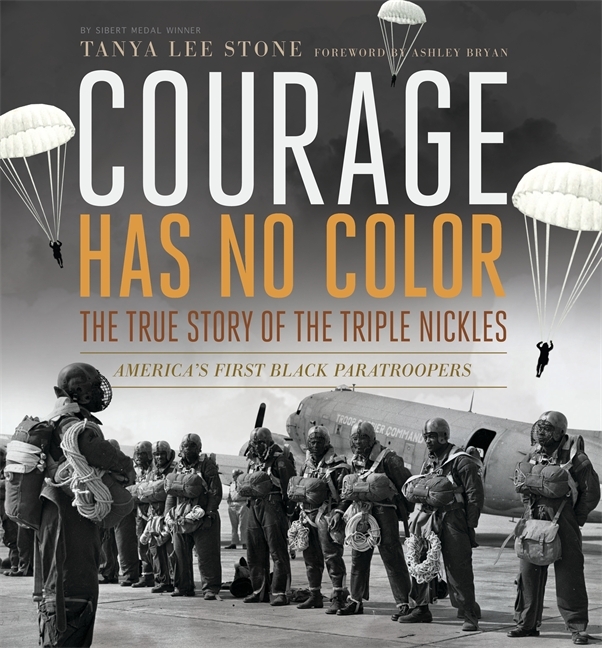 Now, Tanya Lee Stone's Courage Has No Color tells the true story of the Triple Nickels, America's first and only all black unit of paratroopers in World War II. She begins their story by describing in graphic detail what it feels like to jump out of an airplane and parachute back to earth, to give you an idea of the level of courage it takes to be a paratrooper. It is not something I think I would want to ever do. From there she writes about the kind of treatment black soldiers received in the military: segregated and relegated to service work and treated like servants. It was demeaning and demoralizing to the men who joined the military to fight for their country and freedom. One man, Walter Morris, a first sergeant in charge of Service Company of The Parachute School, saw how being treated like servants was affecting the men serving under him. Morris devised a plan to teach his men how to feel like soldiers again. It was his plan to teach them what they needed to know to become paratroopers. And so after the white serviceman were finished practicing for the day, and the black servicemen arrived to start cleaning up after them, they also began their training. And someone noticed how well they learned what was needed to become a successful paratrooper. Pretty soon, the First Lady Eleanor Roosevelt, long a proponent of equality, got into the act. In 1941, The 99th Pursuit Squadron, or the Tuskegee Airmen, was formed and the men trained to be the country's first African American aviators. And in 1943, these airmen were finally sent into combat overseas. But the 555th Paratrooper Infantry Battalion was finally formed in February 1943. Though trained as paratroopers, the Triple Nickles would never be used in combat, instead they were sent to Oregon to fight fires. Turns out those fires were started by balloons sent over by Japan for that very purpose. All of this and much more about the people and history of the 555th is detailed in Courage Has No Color, including an in-depth explanation of how they got their name - yes, there more to it than just 555. It is a fascinating book covering this little known aspect of the United States military and World War II and an exceptional contribute to the history of African Americans in this country. Sadly, the United States Military was not desegregated until 1950. Oh yes, remember that description of jumping out of an airplane I mentioned, well, you too can experience what it is like to be a paratrooper by reading it here. A very useful teaching guide including Common Core connections, can be downloaded here. The description of jumping from a plane is so well written my heart is thumping after reading it! 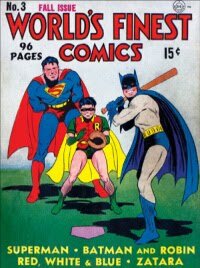 Those young men were amazingly courageous. I know, I felt the same way. They were courageous men, I'm not sure I could have done what they did. I put that book on my TBR list. The last air show my dad and I went to before he passed away we got to meet two members of the Tuskegee Airman. You will probably enjoy this book, Zohar. It must have been so exciting to meet a Tuskegee Airmen, I would love to, but the closest I ever came was a grandson of one.